We provide commercial pressure washing for the greater Denver, Colorado. Our commercial pressure washing service in Denver, Colorado features high rise pressure washing capabilities. We pressure wash concrete, pre-cast stone, and limestone to name a few surfaces that can be effectively cleaned. Low Pressure - Pressure Washing For sensitive surfaces, we use a low pressure washing in order to clean the surface. 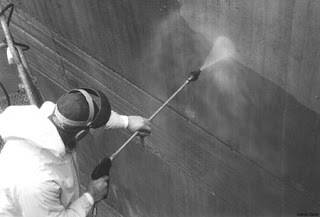 This process is particularly effective for maintenance cleaning of coated surfaces. Mobile Pressure Washing Company You Can Count On Our commercial pressure washers have the training and knowledge to perform their mobile pressure washing service wherever needed. 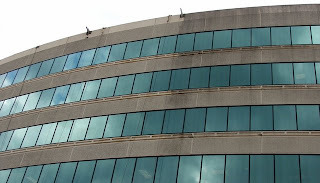 Often that takes them to high rise buildings where high rise pressure washing is needed. After our commercial pressure washers have been trained to do high rise pressure washing, they can handle just about any pressure washing services in the power washing business.